Philip was called to the Bar in 1999 following 10 years’ working within property management and development, both in private practice and social housing. Philip attended Nottingham Law School where he was warded ‘Very Competent’ on the Bar Vocational Course and was placed joint first in year in Civil and Criminal Advocacy and first in year in Landlord and Tenant. He has a degree in property management and development and is a one-time member of the Chartered Institute of Housing and Royal Institution of Chartered Surveyors. Philip practises in all areas of real property (both residential and commercial) including landlord and tenant, construction disputes, as well as general contract work and professional negligence work associated with or arising from property and construction matters. Philip is described as ‘bright and thoughtful’ in The Legal 500 2013 and is recommended for land and property matters. “Philip’s encyclopaedic knowledge of land law coupled with his approachability and pragmatism had a significant impact on the mediation process and on my job as mediator, helping the parties reach a satisfactory settlement. Here is a barrister, who clearly knows his stuff and uses that knowledge appropriately to fight his client’s corner, in either a litigation or mediation context.” – Brian Dawson – Mediator and Senior Partner, Walker Smith Way Legal. Philip has developed considerable expertise in advising and representing a broad spectrum of clients, both ‘professional landlords’ with large portfolios as well as single business tenants with limited experience and budgets. He is focused on achieving the best commercial outcome for his clients; providing practical legal, tactical and technical advice. Philip is very experienced at drafting contentious and non-contentious and transactional documents under tight timescales. He regularly drafts and reviews transactional and contractual documents for individuals and firms, both in his name and ‘white label’ work. Advising on Party Wall issues. Advising trustees and beneficiaries in relation to dealings and disputes (including SIPPS). Mr Ashar Rehman v Mrs Riffat Rehman, Mr Waqas Rehman, Mrs Zonera Rehman  EWHC 2418 (Ch). Acting in professional negligence claims relating to property professionals including surveyors, solicitors and architects. He frequently advises on transactional oversights, document drafting and conveyancing mistakes, together with building inspection and valuation errors. Philip acts in construction disputes and has a detailed practical knowledge of construction methods, offering a relatively unique understanding and approach to resolving the wrangles that frequently arise. Philip acts in various contractual disputes including the interpretation of Contracts. Philip regularly appears in the County and High Courts, The Property Chamber, Arbitrations, and the Magistrate’s Court (HMO prosecutions). He also frequently appears in Mediations. His practice is evenly split between Claimant/Applicant and Defendant/Respondent work. Philip is accredited by the Bar Council to undertake direct public access work and has advised and represented a significant number of individuals and small business on this basis. B v W (2014): Represented a vendor in a damages claim following a purported misrepresented relating to the description of a property, in a claim for damages and following an unsuccessful boundary dispute (three day hearing). S v S (2013): Conversion. Represented a claimant against her ex-husband who had retained her car and other property. T v T (2013): Acting for trustees relating to duties and enforcement of the trust. S v M (2013): Acting for claimant purchaser in a negligent building survey. G v P (2014): Lease forfeiture. Represented a well-known horse trainer in his High Court claim for illegal forfeiture of a mixed-use stables and residential accommodation, including obtaining an injunction to re-enter. H v W (2013): Acrimonious boundary dispute. Mediation agreement achieved on favourable terms, following several months of hostile and protracted dealings. S v P (2013): Acrimonious easement dispute. Mediation agreement achieved on favourable terms, following several months of interruption. L v Y (2014): Construction Arbitration – initial claim valued at £213,000. Claim dismissed save £8,500 (being marginally more than settlement offer). MSD v FM (2014): Wasted Costs Order against defendant solicitor where FM’s case was ‘doomed to fail from the outset’. Philip has been practising as a barrister for almost 20 years specialising in property and commercial law. Before that, he was a member of the Royal Institution of Chartered Surveyors and the Chartered Institute of Housing, commencing practice in London in the late 1980s. Philip has acted as a surveyor, property manager and property developer in both the private and public sectors, in London and elsewhere. He maintains a contentious and non-contentious practice; working on behalf of a broad spectrum of clients, helping them with resolving disputes and in their business dealings. His clients include private individuals and household names and large institutions. His is a respected advocate in property and commercial courts and tribunals. Philip has a sharp eye, focusing on commercial and acceptable outcomes and is therefore frequently instructed at the earliest opportunity by his clients, steering them away from expensive litigation, wherever possible. Philip has been recognised as a ‘Leading Barrister’ in the Legal 500 for a number of years. 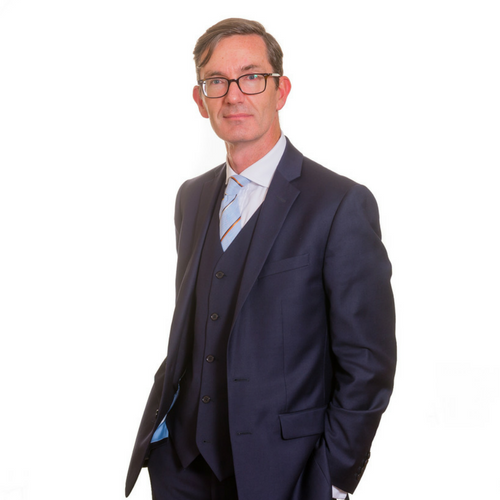 Over the last few years, Philip has also practised as a mediator specialising in property mediation (including construction disputes) and commercial mediation. Property disputes come in various guises and can be very expensive, stressful and protracted. Family disputes require special and sensitive care and attention. Time is spent on considering ‘what is legal/what is fair’ exploring the ‘rights and wrongs’ of competing arguments with a view of relieving the stresses and pressures of such disputes. Philip’s style is relaxed, friendly and empathic. He calms things down and listens carefully so as to understand what the parties really want and need. Philip is quickly able to distill complex matters into simple and manageable steps, while focusing on acceptable solutions from an early stage in the mediation. His ‘hands-on’ and practical background in property and commercial matters allows him to quickly grasp any technical issues, and suggest potential practical solutions. Philip is exceedingly patient and personable, but will speak plainly when required. Philip can help you to resolve your dispute using his background as a specialist property and commercial barrister and one-time property professional. He is able to understand all of the technical issues that arise and speak the language of law and practical solutions to resolve disputes. He has a very impressive rate of success. Philip is here to help. Philip is accredited to receive instructions directly from members of the public through the Public Access Scheme.